This reservoir is the hidden gem. Spread over twenty-nine acres, it is nestled in a perfect location. There is the River Severn on one side and on another side, you can see the Severn Valley Railway. The tranquil atmosphere here will refresh you instantly. Visit this reservoir to take a leisurely stroll. The only thing you will hear is chirping of birds and occasional steam train whistles. If you are planning to go here during Autumn or Spring, take a pair of binoculars with you. The area is dominated by waders, terns, spring and gulls around that time. Many migratory birds stop here on their way. Other birds like ducks, cuckoo, woodpecker, gray herons, kingfisher and goosanders call it a home. Visit this place to spend a few hours in the heart of nature. To personalise your visit to the city, you can use an all-inclusive Bewdley trip planner for the same that will give detailed information about visiting the city. Hotels like Ibc AIverley House, Talbot Hotel and Hallmark Hotel Stourport Manor will solve your problem of where to stay in Bewdley. Curated Bewdley vacation packages await! Book the best ones and start turning your dream into reality.Discover various ways for how to reach Bewdley and complete the booking by choosing your mode of transport. Love this? 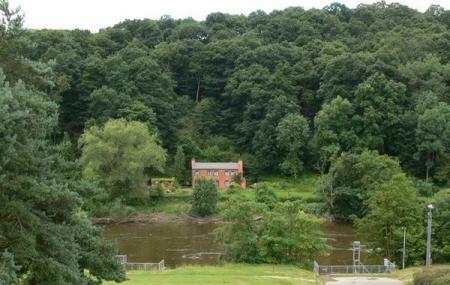 Explore the entire list of places to visit in Bewdley before you plan your trip. Fancy a good night's sleep after a tiring day? Check out where to stay in Bewdley and book an accommodation of your choice. We parked at Upper Arley and walked along the river to Trimpley reservoir. We parked by the green footbridge which was free, but £2 if they are there to collect. We ate at the tea room in Upper Arley which was expensive. £48 for 3 baked spuds, 2 paninis and 5 drinks. Food was quite nice though and the girl serving was polite and friendly. You can sit on the picnic benches by the river. The walk to the reservoir is a nice stroll and doesn't take too long. You can see the steam trains from both destinations and if you are lucky you will see one going over the Victoria Bridge which would be a great photo opportunity. A walk round the reservoir and back and then we walked up to Arley train station which is a lovely old fashioned station with a shop to buy drinks and other bits. All in all a really lovely day out with my grown up children and 2 dogs. Would definitely go again. Lovely place for a 2-3 mile walk round the reservoirs and river. Spent a good couple of hours here today. We parked the car for free and walked down towards the two reservoirs. They were nice but not breathtaking. We particularly liked the train running past us approx every 15 minutes. The terrain was very muddy in places and not suitable for pushchairs. Wellies or other suitable footwear would be recommended. There were a few benches scattered around the water. There are no toilets. Once we'd walked the reservoirs we made our way back through the woods. We gave it 3 stars because of all the inconsiderate dog owners. 9/10 dog owners didn't have there dogs on leads. My children are particularly nervous arround dogs approaching them. One dog would not leave my boy alone and left him sobbing! I kindly informed the owner how nervous my boy was (though it was pretty obvious from his crying and standing on a bench). Obviously he didn't care as 20 minutes later he left his dog hassling us for ages while he watched on in the distance. Another owner allowed there dog to lick our 1 year olds face. My husband had to cover her face with his hands to protect her. If you are a dog lover/owner you will love it here. It's a nice walk in natural surroundings, even in midwinter. The nearby river severn & woods are also worth seeing!